If you ignore the fact that we (literally) lost one of our serving Prime Ministers in the 1960’s, relative to most countries in the world Australia’s political history is uneventful. We’ve had no civil wars, no major coups, our lone armed rebellion lasted a single day and for most of the 223 years of our political history you’d have had to look awfully hard to find more than six people holding anything approaching radical political beliefs. It is little wonder then that when a genuine political upheaval does occur it receives an enormous amount of attention. What is known colloquially as ‘the Petrov Affair’ is one of these events. Taking place in 1954 it involved the defection of a senior official from the Russian Embassy in Canberra and his wife who had both also been operating as spies. This sparked the Royal Commission on Espionage which in turn led to the severing of diplomatic relations between Australia and Russia until the end of the decade. 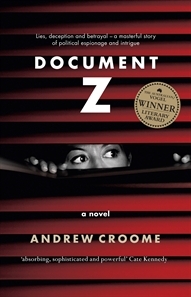 This entry was posted in 2011 Aussie Author Challenge, Andrew Croome, Aussie Authors Challenge 2010, Australia, book review. Bookmark the permalink. Bernadette – Thanks for this excellent review. I agree with you that history is very much more than dates and people’s names, and this book sounds as though it really tells the story of the Petrov affair (and history really is a series of people’s stories, I think) quite effectively. I’m fascinated by history, especially aspects of history I don’t know enough about. I’m going to have look this one up.